Shortly before his death in 1981, Mr. Northrop was given clearance to see designs and a scale model of the B-2 Spirit which was unveiled in 1988. PROBABLY the strangest looking thing ever to fly in the air is the Northrop Aircraft Company’s new “Flying Wing,” seen in action above, and viewed from the rear on the ground below. It has no fuselage nor tail surfaces. Twin pusher propellers power it. Power plant and personnel are housed within the contours of the airfoil. The greatest secrecy is being maintained by both the company and the army about the weird plane’s performance, but reports which have leaked out credit the ship with remarkable efficiency. I knew I saw this before. This is very similar to the BV-38 from Indiana Jones but without a cool rear gun turret. 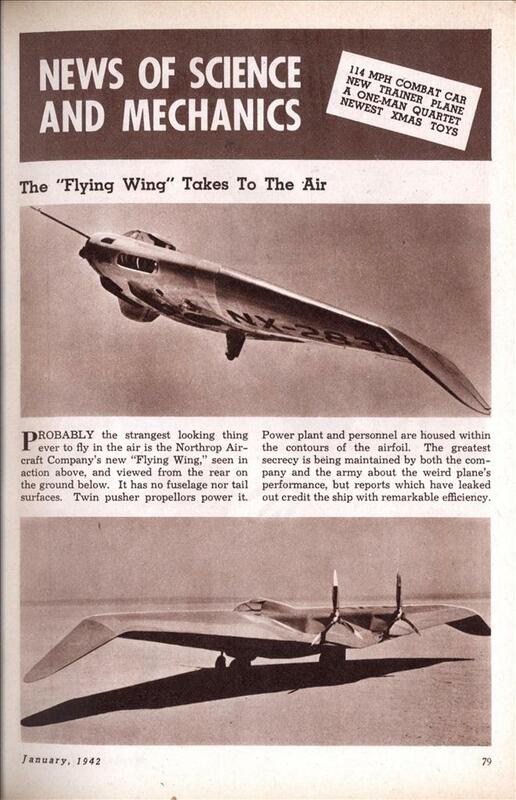 Northrop did build two experimental flying-wing bombers but they never became operational. The experience gained, though, eventually went into the current B-2 Spirit. that photo seems an odd duck. with Northrop as the manufacturer and 1942 as the date, this should be either the N-1M or N-9M, more likely the latter. however, all other sources i can find for info on those planes lack the obviously downturned wingtips, even when all other features seem identical. this may be a snapshot of an early stage in development, since the other websites i found all sport “final flying version” details and data. if this indeed is the N-9MB, then it’s been restored by an aircraft museum and is flying again. the two experimental bombers Stephen mentioned were the YB-35 and YB-49; i found them on wikipedia but investigated no further. there’s good photos of them, too. The picture is the N-1M. Of the flying wing bombers there were two XB-35s and thirteen YB-35s built. Two of the YB-35s were converted to eight jet engines and re-designated YB-49. One additional YB-35 was converted to six jet engines and re-designated YRB-49. The specs of a B-2, length, width, height and weight; and the performance of a B-2, cruising speed, range, and service ceiling, are almost identical to the YB-49. Design stolen from the Germans in WW2. Look also at Blohm und Voss (http://www.luft46.com/b…) and Heinkel (http://www.luft46.com/h…) with jet engines with axial compressor. Germany was way ahead in developing on any technical area. 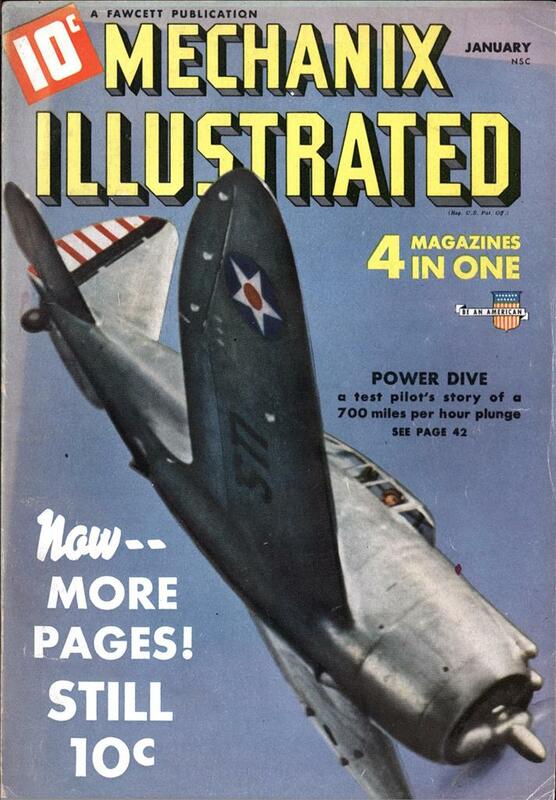 Interesting Jan, none of the designs you cited were ever built, yet the N-1M shown here was begun in 1939 and first flew in July of 1940. So are you implying that Jack Northrop built a time machine to steal speculation plans from German designers? Northrop’s first “Flying Wing” was built in 1929 so how does that stand up with the Germans being ahead in any technical area. My sources must be wrong, I’m not that old having seen this personnally. Excuses. Jack Northrop lived long enough to witness the unveiling of the B-2, which was the ultimate expression of his dream of practical flying wings. He died shortly after. It is said he was buried with a model of the B-2 in his coffin.